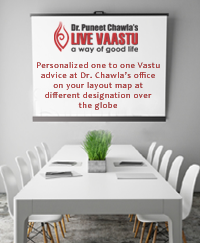 As a Vastu professional myself, I always suggest that the five fundamental elements need to be stabilized before attempting any kind of mystical process. In yogic science, these are addressed as the Panchabhutas or the Mahatatwas. The word Bhuta refers to elements and becoming free from the taint of elements or cleansing the elements is what is referred to as Bhutashuddhi. In other words, becoming free from the physical nature in terms of physiological or psychological processes is what I call as cleansing the five elements for an individual. In order to do so, one needs to purify these elements which in turn would let one distinguish and differentiate between physical, psychological and existential. Water- Our body being constituted mainly of water, a great deal of care needs to be taken while in-taking this element of nature both in terms of physical and psychological terms. Many scientific evidences have been given which clearly prove that a very thought, emotion or touch is enough to alter the molecular structure of water and the manner in which it reacts within our system. Water is also referred to as fluid computer, hence, to cleanse it, it is advisable to store it in metal containers like copper, clean the container everyday so as to assure healthfulness and equanimity within your system. Earth- Earth symbolizes intelligence and memory and it is therefore important to be in touch with the mother earth in some way or the other. This means you should walk bare feet for some time on the earth surface on a regular basis so as to harmonize the physiological process within your system. Earth is the basis of life and spending a few minutes every day in your garden barefooted, among natural habitat like trees and plants will help in harmonizing your system to a large extent. Air- Air is the most dynamic element which gets exchanged every minute within our system. Hence it is important to see what kind of air we breathe in, how we breathe in. however, in large cities; it is not always possible to monitor the quality of air. The best is to take a walk in the park or along the river side where the air is considerably in its pure and dynamic form. This will enable the body to cleanse its system naturally, thereby enhancing the body’s integrity and strength. Contrarily, if it is not possible for you to out on a daily basis, a simply yoga exercise at home ‘Nadishuddhi’ can help cleanse the breath. Fire- The best way to cleanse the element of fire within you is by obtaining a little sunlight everyday. Lighting a fire with organic substances like straw and firewood, without making use of oil, and standing in front of it for three minutes can also do the needful. This helps in rekindling and reconnecting with the fire lit outside with the fire within. Akash/Sky- Akash or etheric space is the fifth and most expansive dimension of the elemental composition. Exposure to the etheric dimension is limitless and hence exposure to it increases and enhances both our perception as well as intelligence. To achieve this, you can follow this simple process. After sunrise, look up at the sky and bow down to the sky for holding you and this planet in place. Repeat this during the daytime, when the sun has crossed 30 degrees. Then, after about 40 minutes of sunset, repeat this once again.